Looking for the perfect home away from home for your family? Interested in an intimate vacation experience with spacious living rooms, beautiful bedrooms, and same floor access to your own private lawn space? 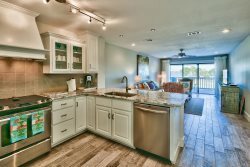 Consider booking a single family Miramar Beach or Sandestin vacation rental with Russell Vacation Rentals. Our Miramar Beach and surrounding area house rentals encompass a broad array of styles and layouts. Contact us today to find the perfect, unique fit for your next Florida Gulf Coast family vacation.